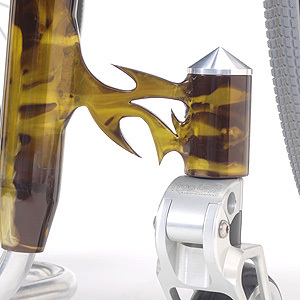 The BT-G Tribal was designed by imagining what could be done that's never been done before. 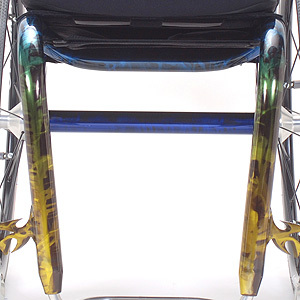 Drawing from many inspirations, the end result is a stylish blend of minimalist design and cutting edge engineering with a one-of-a-kind anodized finish designed just for this chair. 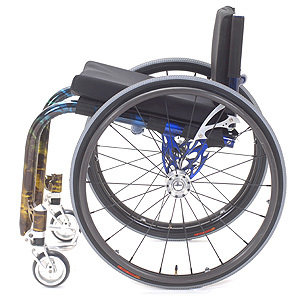 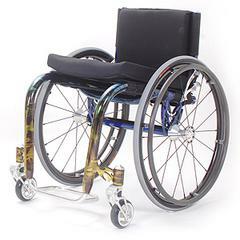 This sleek model boasts a 1.5" 6061 T6 aluminum tube frame, tension adjustable seating and backrest, Spinergy wheels and Frog Legs Ultra-Sport caster forks. 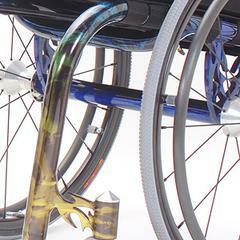 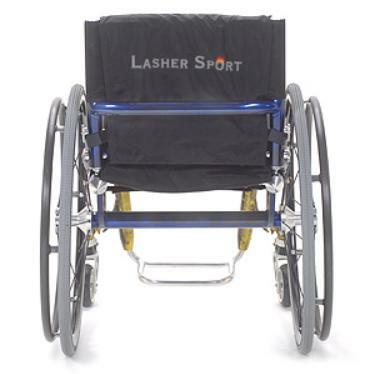 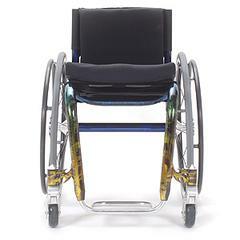 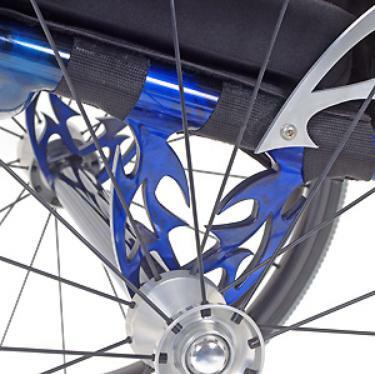 At a total weight of just 20.5 pounds, this fierce wheelchair offers a smooth and stylish ride.